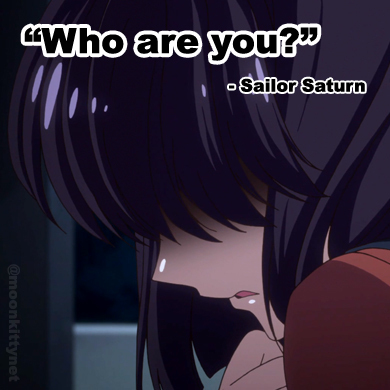 Update: The Sailor Moon anime is currently off the air in Australia. The Sailor Moon manga has been re-released though and can be bought in Australian book stores and several online Australian retailers!. 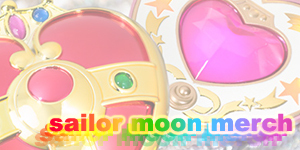 This page will be updated with more information (and newer information) regarding Sailor Moon as we get towards the airing of the New Sailor Moon Anime in 2013. 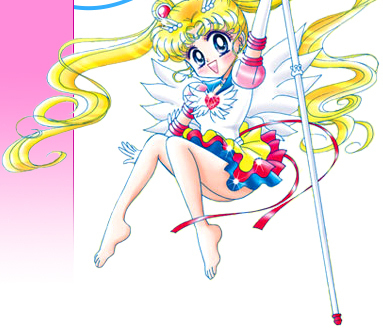 Australian Air Times: Sailormoon first started airing in Australia in 1994 on Channel 7 (and Prime) on what was then called "Agro's Cartoon Connection". This program ran on weekday mornings from 7am - 9am and featured cartoons, competitions and numerous goosing of the hostess' which eventually lead to the show being cancelled and replaced with a group of 5 young twenty-somethings. In late 2001 The Big Breakfast (as the new show was called) was replaced with a music video show and on Sept 12 a regular news program replaced the music show. In early 2002 Cheeze TV on Channel 10 bought the free to air rights to Sailormoon and started airing it. 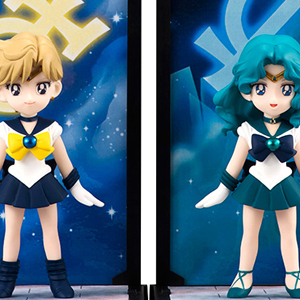 Buying Sailormoon in Australia: Because buying Sailormoon in Australia is more complex than buying it in American, I have created this section to explain the best, cheapest and easiest ways for Australians to get their daily dose of Sailormoon. Sailormoon Original & SailormoonR DVDs: These two series can be found in almost any store in Australia for AU$24.95 and they contain on average 7 episodes per DVD making them a worthy investment. Unfortunately for perfectionists they have English audio only but for me that's not really an issue and besides the US (Region 1) versions didn't have the original tracks either. Speaking of the US (Region 1) version Madman Entertainment improved the Australian (Region 4) version with better, easier to navigate menus and crisper chapter selections! If you can't find these in store I reccomend EzyDVD.com.au. They're an Australian based company and they offer FREE OVERNIGHT DELIVERY! I've used them before and will definitly be using them again. SailormoonS, SuperS and Movies DVDs: Buying the 3rd (S) and 4th (SuperS) seasons and the movies is a bit more tricky for Australians than buying the first two seasons as none of these DVDs have been released locally (in Region 4 DVD format). I bought my copies from Amazon, a HUGE American online store with a great reputation. Now the catch is that when buying an American DVD it will be in a region that most Australian DVD Players can't play. Most Australian players play Region 4 DVDs, American players play Region 1 DVDs. So before buying Region 1 dvds make sure to check that your DVD player is Multi Regional (can play all region DVDs). If it is, great. If it isn't you can either buy a new DVD player or you can go back to the place you bought it from and ask for a "chip" which can make it multiregion, however this will void your warranty AND some TriStar Region 4 DVDs can only be played on Region 4 machines. Charlie's Angels and Stuart Little are two examples that spring to mind. Kinokunia (the largest book store in Australia, located on the top floor of the Galleries Victoria in Sydney (opposite the QVB) has just started stocking Region 1 (and 4) dvds and they are selling for REALLY cheap prices (around the same as a local Region 4 dvd!). Definitly worth checking out! If you don't have a DVD and don't want to buy a DVD player you can also get VHS of the movies and series from Amazon and almost ALL VHS Players can play them. Just make sure it has NTSC Playback written on it somewhere. 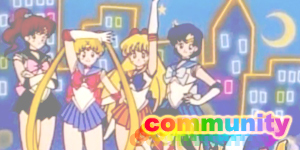 Sailormoon Manga: Very easy to get. Pretty much all Comic shops stock the Sailormoon manga and even a few book shops! Though if you're already ordering some DVDs or VHS from Amazon you might as well pick up some manga there as well. It's much cheaper to buy from America than Australia (damn tax!). If you want to get the original version (with Japanese text) I'd try Chinatown or maybe an import store but don't keep your hopes up, they're very hard to come across unfortunately. Sailormoon CDs: Most Australian music stores USED to stock the first two English Sailormoon CDs but I'd be VERY suprised if a store still had some copies left. If you ask at the desk they should be able to order them in for you. If you're after the Japanese cds I'd try Chinatown first for the cheapest prices then if all else fails order from Amazon and then try an import store (as they're always more expensive). 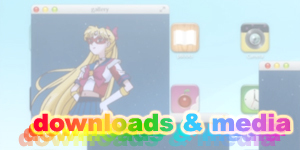 Australian Links: Here is a list of sites that I thought Australian Sailormoon and Anime fans might find of interest. 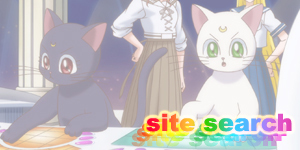 Definitly the main resource for the Australian Moonie. 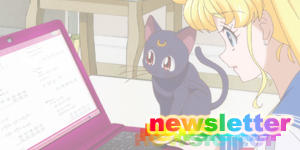 Updated on regular basis with Australian and Sailormoon news. 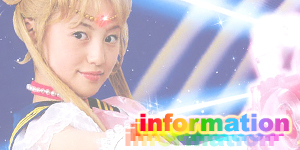 Has a great listing of Australian Sailormoon fans so you can organise meetings and screenings! Also updates regularly with info and everyone on the message board is actually nice! A very cool annual convention. Features voice actors and premieres anime movies and episodes! Get's better by the year! Run by the same babe who runs the AU SM Fan Community. Basically an anime group that screens magical girl anime at the Canberra Uni. A popular anime club in the same uni as mentioned above. 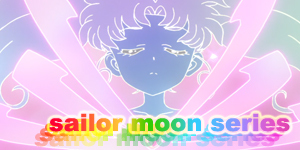 Has a mini site for Cheeze TV which airs Sailormoon (sometimes).